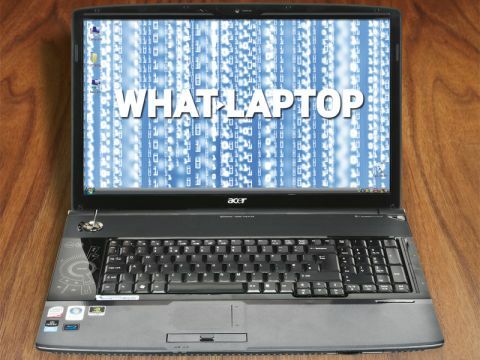 Acer's Aspire 8900 series of laptops has been around for a while now and has impressed us on numerous occasions. The Aspire 8930G-734G32BN promises to continue this, making it an ideal solution for demanding students and home use. The best feature here is the 18.4-inch screen. It is brighter than most of the other panels and offers excellent colour reproduction, making other laptops appear washed out in comparison. Its large screen further aids use as a media centre. The resolution of 1920 x 1080 pixels is nice and sharp and lets you take full advantage of the integrated high-definition (HD) Blu-ray drive. That said, its HDMI port also makes it easy to connect an external display should you wish. When it comes to multimedia power, this is a major player, and offers better performance than many machines that cost considerably more. It features a powerful Nvidia GeForce 9600M GT graphics card. The latest games run smoothly and at high frame rates, even at sharper resolutions, and you'll have no trouble running demanding applications. The large keyboard offers a quiet and springy typing action that proves very comfortable. It falls slightly short when it comes to quality, however, flexing under pressure, but the keys are large and well spaced. The left-hand side of the chassis is taken up by a large interface with touch-sensitive buttons for controlling your films and music. It works well and offers better usability than some other laptops, but the design won't suit all tastes. Build quality is good, with robust plastics used throughout, but the most noticeable thing about the design is its sheer size. Weighing in at 3.9kg, it's a large laptop and offers limited portability. That said, if you do decide to carry it around, you'll still be able to use it for 187 minutes away from a power point. Using a mid-range 2GHz Core 2 Duo processor and 4096MB of fast DDR3 memory, office performance is impressive, and more than powerful enough to let you carry out demanding multi-tasking. Those wanting to connect an external display can do so via VGA, HDMI and Display Port. Peripherals can be connected via four USB ports, Bluetooth enables wireless syncing and an eSATA interface offers high-speed data transfers. There's also a 4-in-1 memory card reader. With only the slightly spongy keyboard to let it down, the Aspire 8930G is a great media centre. It offers an exceptional feature set, impressive performance and is great value for money.